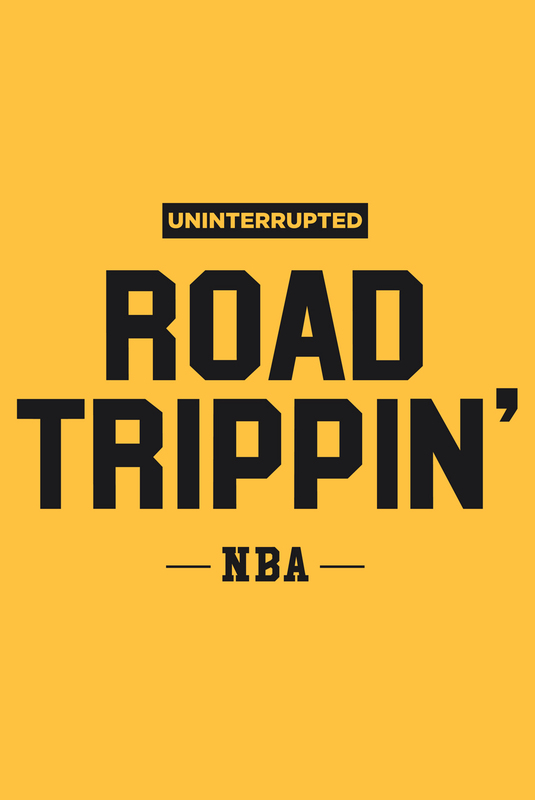 Road Trippin': NBA is the natural evolution of its predecessor - "Road Trippin': Richard Jefferson vs. Channing Frye." Stars from around the NBA take you on the road as they discuss everything going on in their world and the world as a whole. Come along for the ride. On this edition of Road Trippin’ ATL, Kent Bazemore and Mike Muscala wrap up the season. From their favorite guests to favorite moments on and off the court, they cover it all. Baze & Mike discuss their offseason plans including trips to Hawaii, Summer League and future pods from the pontoon in Minnesota! The guys also have a very special message for Road Trippin’ fans, don’t miss this! This week on Road Trippin’ ATL, Kent Bazemore & Mike Muscala are joined by two of the newest Hawks, Damion Lee & Andrew White III. Damion & Andrew, former Louisville Cardinal and Syracuse Orangemen, take us through their journeys to becoming Hawks. Damion gives us the exclusive story of his proposal to Sydel Curry, and what it’s been like to become a member of the Curry family. These guys have been through it all from G-League road trips on sleeper buses to where to hide engagement rings. Tune in for some inspiration! On this episode of Road Trippin' ATL, Kent Bazemore & Mike Muscala are joined by the undisputed leader of the Bad Boys, Isiah Thomas. Isiah takes the squad through the greatest moments of his playing career, how the game has changed today and how he feels he's impacted it. The squad also discusses Kevin Love & DeMar DeRozan's recent talk of mental health, the current state of the Hawks & Baze's injury. So pour a glass of Cheurlin Champagne and tune in! This week on Road Trippin’ NBA, Kent Bazemore and Mike Muscala are joined by rookie Tyler Dorsey. Tyler takes the squad on a journey throughout his NBA journey so far. From making the Greek National Team to supplying the team’s Krispy Kreme collection, he covers it all. In February Tyler has been averaging 23ppg and he explains how he got there. The guys also discuss the All-Star Game, March Madness and recent “shut up and dribble” comments. Don’t miss it! We’re wrapping up All-Star break with a throwback episode of our favorite Road Trippin’ ATL moments. Join us as we go back through our favorite episodes and hear from guests like Tony Ressler, Richard Jefferson, Grant Hill & Tim Hardaway Jr. From Mike’s most embarrassing moment, to Richard’s thoughts on the process of breeding dogs (explicit), we’re covering it all. We’ll also cover weed and how it effects the NBA today. Don’t miss this! Episode 15: Shootin’ The S#*! This week on Road Trippin’ ATL, Kent Bazemore and Mike Muscala are shootin’ the s#*! from Milwaukee. From the moves made at the trade deadline to recent Road Trippin’ beef on the court, they cover it all! They guys also vent about which teams they hate playing and the worst teams to lose to. Ever wonder where the Moose Goggles went? Musky explains. Don’t miss this! Cue the Timmy Shimmy (kind of)! Tim Hardaway Jr. sits down with the squad in NYC this week on Road Trippin’ ATL. THJ discusses his choice to head to New York and how Coach Bud made him into the man and player he is today! The guys reminisce on their days as teammates, who threw the best tantrums and what they love about Atlanta. What’s happening at the trade deadline!? This week on Road Trippin’ ATL, Kent Bazemore and Mike Muscala get REAL. From what it’s like to be on the trade block to Mike’s wild trip to Amsterdam, the guys discuss it all. This week on Road Trippin’ ATL, Kent and Mike are joined by former hooper and philanthropist Brendan Tuohey. Brendan is the Co-Founder & Executive Director of Peace Players, a nonprofit that uses basketball to unite, educate & inspire young people all around the world. Got eeeem! This week on Road Trippin’ ATL, Kent Bazemore and Mike Muscala are joined by Hawks point guard Dennis Schröder. From the golden patch to Dennis’ clothing line to fastest cars, the squad covers it all! Dennis also discusses his personal goals on the court, rookie pranks and his favorite international soccer stars. Don’t miss it!